Highway Assembly of God operates a Food Pantry that is open to those outside of our church congregation on the 3rd Wednesday of each month from 5:15 p.m. to 6:45 p.m. – by appointment only. 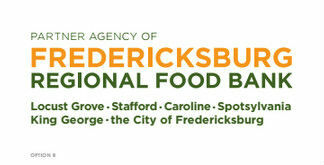 Individuals needing assistance must call the church at (540) 371-4343 no later than the 2nd Thursday of the month to confirm an appointment with the Food Pantry. Callers must leave a name and phone number. A church representative will call back and confirm appointments.